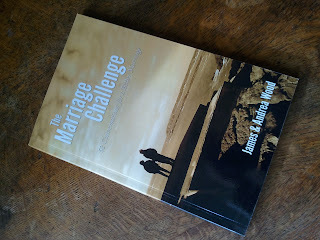 The Marriage Challenge: Win a Free Signed Copy of the Book! We will give away one, free, signed copy of The Marriage Challenge to a person who comments on this blog post between now (if you can see these words, it's now or later) and 11:59pm Pacific Standard Time on Sunday, January 15th. We'll pick and announce the winner on Monday. Rules: Leave any comment below, only one entry per person. Previous promotion winners are not eligible for future promotions for 6 months (Tim). The drawing will be determined by a random number generator or mice in a maze searching for Cheetos. i would like a free copy. i vote for mice and cheetos way. also thanks for writing this book. i cannot wait to read it. i support you guys 100%. I would like a copy of the book. I enjoyed reading through the blog and and I think this would be a great resource for my young marrieds ministry at church. I would love to get my hands on a copy...I think it would be a great tool for my future hubby and I! I am also totally into mice that search for Cheetos, so I vote for that method! Thanks for all the comments! The winner, by Cheeto-mouse-maze selection is . . . . Lisa! Would you send me an email (wood.jt - at - gmail - dot - com) with your mailing address and any special instructions for signing the book, please?